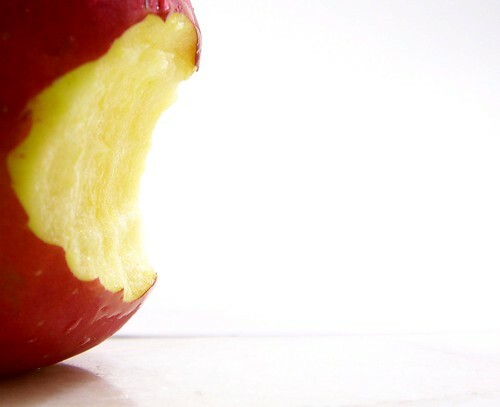 The popular Christian tradition holds that the serpent tempted Adam and Eve to eat an apple from the forbidden tree in the Garden of Eden and as a result the first human beings got expelled from there. the desire to perform an action that one may enjoy immediately or in the short term but will probably later regret for various reasons: legal, social, psychological (including feeling guilt), health-related, economic, etc. Having read today’s Forbes’ article What Apple Gets Wrong In Its Samsung Apology, I could think of nothing, but temptation. The thing is that Apple had claimed that the design of Samsung’s Galaxy Tab infringed upon Apple’s design in the iPad. For that, the Cupertino company went before the English High Court, but suffered a defeat. It then made another attempt – this time before the Court of Appeal – however, only to reap another judicial loss. on their website to inform the public that Samsung’s design had in fact not infringed upon the design incorporated in the iPad. “On 9th July 2012 the High Court of Justice of England and Wales ruled that Samsung Electronic (UK) Limited’s Galaxy Tablet Computers, namely the Galaxy Tab 10.1, Tab 8.9 and Tab 7.7 do not infringe Apple’s registered design No. 0000181607-0001. A copy of the full judgment of the High court is available on the following link [link given]. While this is, strictly speaking, not exactly what their Lordships did prescribe, it is likewise not untrue. that its authors have drafted it in a manner that tempts the readers to side with Apple, rather than to provide them with the information on the lawsuit’s outcome. This is duplicity, which Apple (like the biblical serpent) might at a later stage bitterly regret.